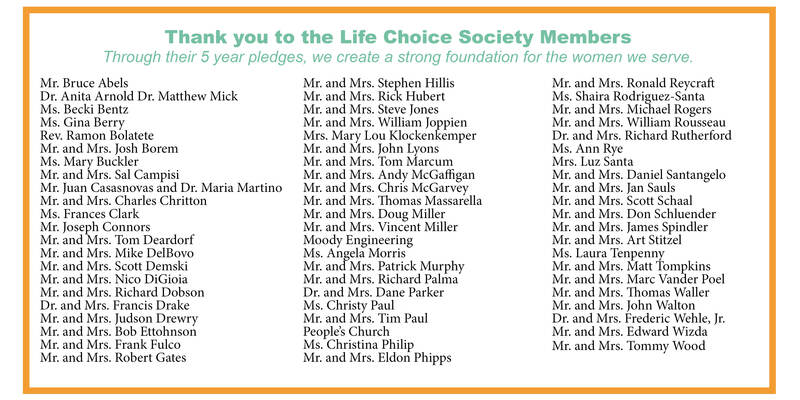 The Life Choice Society was created to build a stronger foundation for expanding the reach of our services by providing a stable base of operating revenue with long-term pledges. Thank you for your 5-year commitment to save lives! 2018 Vision for Life Sponsors!